So I have looked at a lot of threads and was thinking on the front end shake or wobble while in 4wd under acceleration, has anyone figured out was it a alignment issue, a upper control arm issue, a cv joint issue, or some other thing. Here is my story. I installed MarkMC's 3" lift on my 02 Trailblazer. I set the alignment and went out and tried it out on the dirt. I noticed when taking off from a stop in 4wd there is a shake/wobble/ and or shimmy depending on how you want to describe it. Any why I dont drive in 4wd all the time so I figured I would hit up the internet and this forum to see what others had come up with. From what I gather its allover the place. I have read that some flip the UCA's, some do wheel alignments, some people say it might be a worn CV joint. Also the I was thinking maybe the rear pan hard bar? Next I put on a set of 265 70 17s with 1.5" wheel adapters and checked to see if by some magical reason or planetary alignment the shake would have gone away. Nope! So Im thinking of doing a systematic approach to this. the CV joints felt good while I was installing the lift but I'll still check them out again. Anyway here ws what I'm thinking. Any of you been this route? Likely you need to check your alignment. So the wobble is only in 4 with load? Man, this seems more like disconnect to me. When my disconnect was shot I would get this very high vibration coming from passenger front. If I hit the brake it stopped. I jacked up the front and manually turned the front passenger. Man that thing squealed while turning. Replaced disconnect and have not had vibration since. Now I could be way off, but alignment dont seem right to me. I had exactly that and an alignment cured it. --when you say you set the alignment...Its prolly not good enough unless you work at a shop with an alignment rack. Also you definitely need an alignment after flipping the UCA. LOL So maybe I am way off... As soon as I did my lift I had a shop alignment done before I did any offroading. Make sure after any hard offroading you get it done again. I had alignment done right away and then had the 4x4 vibrate issue after wheeling(a few times ) and could not find a culprit, but had lifetime alignment so i got it aligned just to be sure and it fixed it. Was not off by much, but enough I guess. HARDTRAILZ wrote: I had exactly that and an alignment cured it. So here is a update. I figured I would take this vibration one step further and use a tool that is designed specifically for vibration. They call is the Pico scope. It has a three axis sensor and a interface that plugs into my laptop, along with some software. It also tags into the DLC port and monitors data from the ECM as well. I took a few pictures. 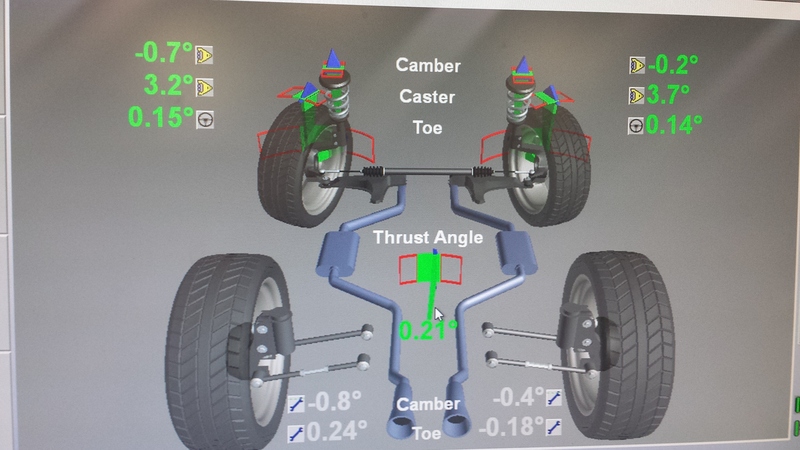 I beleive what I am felling is the CV joints. They don'f feel worn out (not a lot of play). I checked the alignment also with the time I had. I did notice my toe was off a tiny bit but all others looked good. Also I seen that the thrust angle is a bit off. (That might be from not having the track bar drop bracket installed. So it looks like I need a set of cv axles. I had seen a few of you had mentioned a cretin one was the better ones. I cant remember then name or brand. Here are the pictures I took today. I would also like to note that the vibration comes in at a moderate to full throttle pull from a stop. The bar graph to the left labeled P1 is the worst. The green is color indicator of the direction of movement. (Lateral) The intensity is how tall it is. 25.9mg. P is for prop-shaft 1 is first order vibration. So i couldn't tell from this post - did you already flip the UCA's?? Something that isn't mentioned much on here is how the UCA flip actually pushes the upper ball joint out and creates positive camber. 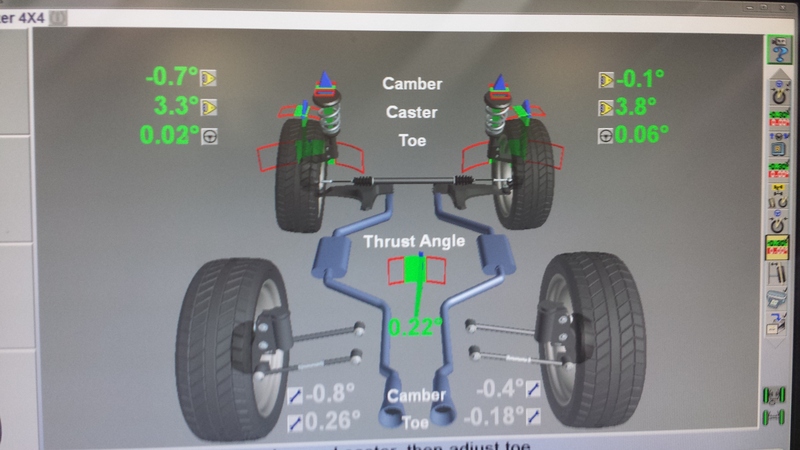 This is a GOOD thing, because after the alignment, the lower control arm should have to go out to compensate. This relieves a little of the aggressive CV angle we get after the lift. Also, my buddy had the same issue after lifting his Envoy. His CV would bind up before the alignment. After, it cleared up the binding, but still got the same condition you describe. A new CV from Detroit Axle fixed it completely. I think they are like $55 on ebay. Neat software btw! You're definitely at Tire RPM (~4hz @ 20mph) plus its harmonics. I'd be willing to bet you'd see it light up at 24Hz at this speed if all 6 rollers of the CV are bottoming out throughout the rotation. It also makes sense that it's CV if more torque increases the amplitude since it would lift the front of the vehicle more and accentuate the CV angle. HawkeyeC25 wrote: So i couldn't tell from this post - did you already flip the UCA's?? I had run out of time last night is the shop, so I didn't get a chance to flip the UCA's I'm hoping today will be a slow day so I can sneak my trailblazer in and get that done. Thanks for the info on the CV's, and the additional info on the angles from flipping the UCA's. Last edited by rScherzer on Fri Jan 06, 2017 11:43 pm, edited 1 time in total. Stock location of the UCA and ball joint angle with the lift. It's not making a loud clicking noise when it does it, is it? I only ask because that could be an issue with the clutches or chain in the transfer case. I currently have the same issue. Front end shakes or wobbles from a stop, under moderate throttle from about 20 to 35 or 40 mph. This ONLY happens while in A4wd and 4hi. Since I have completely rebuilt the entire front end, I suspect it is the front prop shaft or front driveshaft. This also has a cv joint on one end. I have ordered a new one, along with new u joints for the other end of the front prop shaft and both ends of the rear driveshaft. I'll do my best to report back if that fixes my issue. RmbrNoel_03EXT wrote: I currently have the same issue. Front end shakes or wobbles from a stop, under moderate throttle from about 20 to 35 or 40 mph. This ONLY happens while in A4wd and 4hi. 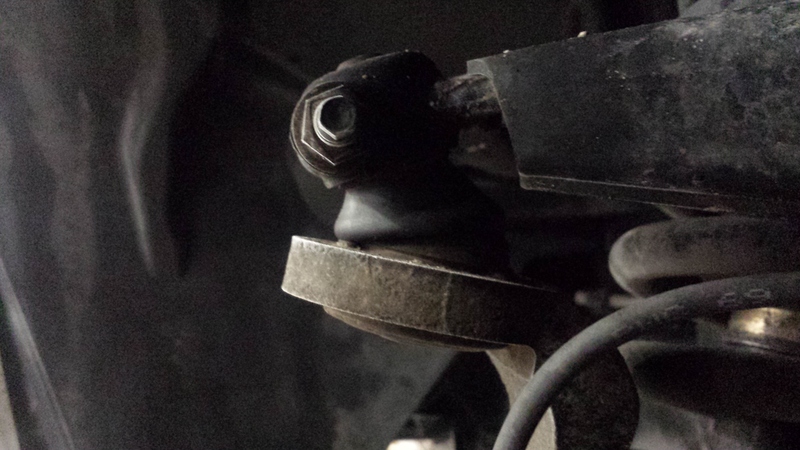 I'm fairly certain this is fixed by alignment, and only when lifted, because it's an angle difference in the inner and outer tripot, similar to what you feel when tilting the rear axle on a lifted vehicle and the U-joint angles not being the same. Play and/or a worn out outer bearing in the disconnect will also cause this. bartonmd wrote: I'm fairly certain this is fixed by alignment, and only when lifted, because it's an angle difference in the inner and outer tripot, similar to what you feel when tilting the rear axle on a lifted vehicle and the U-joint angles not being the same. Play and/or a worn out outer bearing in the disconnect will also cause this. 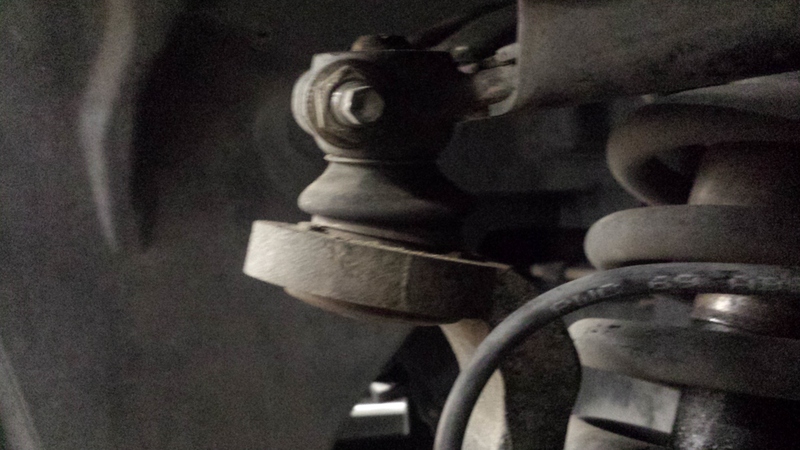 So, with the TB lifted this should be considered normal Or the "wheel" alignment needs to be adjusted. Or are you referencing the alignment of the outer CV to inner Tripot and angle of the shaft? I understand the u-joint and working angles. I'm just wondering if I have worn CV's that are causing the issue? Then again maybe this is normal due to the angle of the shafts. 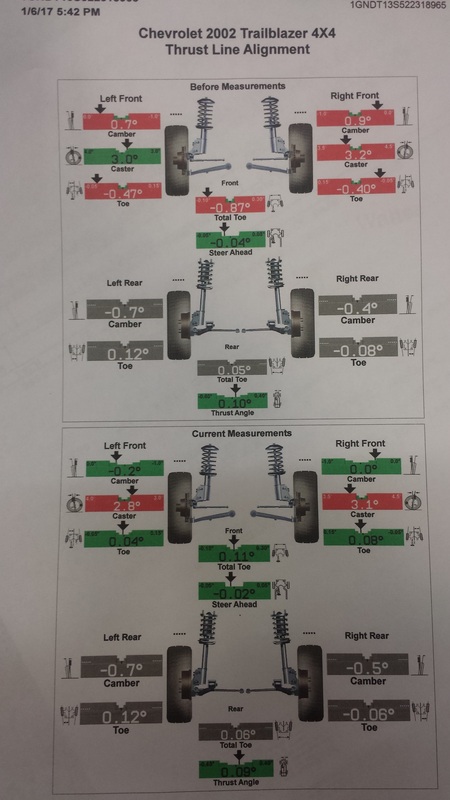 If the input and output sides are perfectly lined up, the CV/tripot will have equal angles and constant motion. If camber is off or if the inner is at an angle (worn/broken output bearing in the splined disconnect is common), it'll have a different angle and you'll feel it. To some extent, though, I think it's sort of normal for lifted. I have had this issue since lift. In 4wd or a4wd (with front engaged) it will have a shudder/shimmy in front. I have rebuild the disconnect with the awd sleeve, new struts up front, new tie rod ends and alignment done. Flipped ucas when I did the lift. The front disconnect is permanently engaged, of course. Other than when the transfer case locks in 4wd, I have no shimmy. I think that may rule out the front end alignment/suspension. The cv's are stock though. The rear end does not have the panhard relocation kit yet and does not have z71 springs installed. 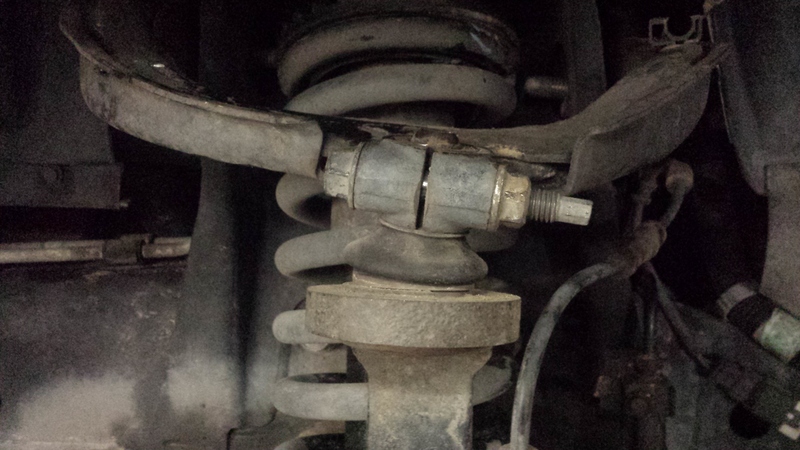 I've also got some slightly warn shocks and a clunk coming from somewhere out back. Once that's done, we'll have to see if the shimmy goes away. ---I bet not. I bet it is still alignment based cause whether the splined is engaged is not going to let you feel it, but the power actually going to CVs putting the stress and letting you feel it. Here is a thought also. When in four wheel drive. under a load the front wheels are going to what to move. My idea is like what you see on the 3/4 ton trucks. When they do a sled pull the front tires both try to turn in (tow in) on each each other. I'm wondering is under hard acceleration the same thing is happening on the Trailblazer? Again just a idea having the awd sleeve narrows down where and what. (kinda) In 4wd under a load. 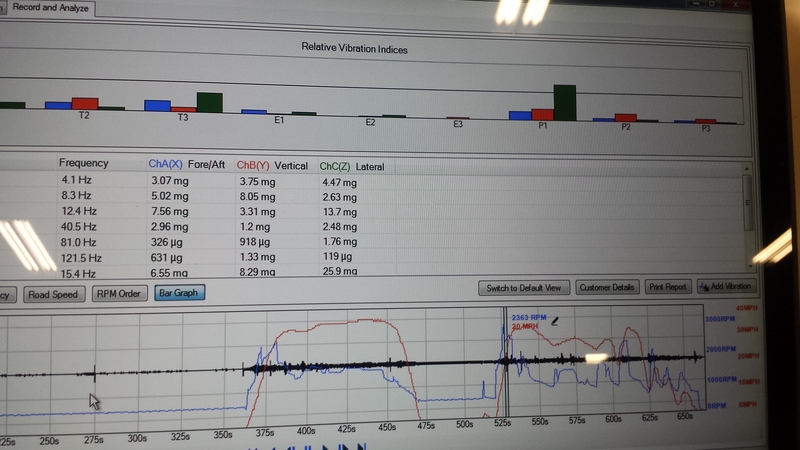 @Hardtrailz does your Trailblazer exhibit this vibration/shake?